An extremely important part of employee wellness is ensuring that stress levels are managed effectively within the work environment. This should be an ongoing task for all team members, managers, coordinators and directors in the workplace. From a business perspective, we all want our employees to be working at their best, most productive performance levels. When any staff members take time off work, this can have a negative impact on the business. You may even need to employ a temporary worker to cover the workload while the member of staff is absent, otherwise other staff members may feel stretched to cover the additional responsibilities or, even worse, work may start to pile up with no one to deal with it. This is a downward spiral that can lead to more stress and workplace anxiety. However, by effectively managing stress in the workplace, every member of staff can enjoy increased productivity and a happier environment. So when does stress generally occur? There are many examples but three main scenarios are: High levels of demand on employees Fraught working relationships Poor support from management Therefore, we’ve put together our top recommendations on how to prevent and deal with stress in the workplace to manage it effectively and improve overall wellbeing in the work environment. Flexible working This is a highly sought after benefit in the workplace. By allowing jobs and working hours to be flexible, and by ensuring that you consult with employees about changes that are likely to affect them, you’re allowing them to give their opinion and be valued. Ask them whether they want more responsibility, ask them if they feel it would be beneficial to leave early on a Friday and make up that time earlier in the week – it’s all about communication and providing flexible working for all. Give praise This is a simple but effective way of reducing stress. Recognising your team’s efforts and achievements can positively impact morale and productivity. Offer words of encouragement and make sure employees feel valued, as this can go a long way towards managing stress levels. Lead by example All employees should be encouraged to adopt a healthy lifestyle, but managers in particular should set a positive example by managing their working hours, ensuring they take breaks away from their desk and taking their annual leave entitlement. It’s important to promote a healthy work/life balance. Talk about it Ensure that you’re communicate and talking with staff regularly. These should be through a variety of informal and formal settings, such as face-to-face one-to-one meetings, emails, phone calls and team meetings. If staff have time off on sick leave, complete a return to work interview with them, as this will help to identify staff at risk of suffering from stress at an earlier stage. You can also take this opportunity to ask about the factors contributing to this stress, which you can then take steps to address and improve. When our work environment is busy and filled with deadlines, it’s easy to put ‘stress management’ at the bottom of our to-do lists. But take some time this April, which is National Stress Awareness Month, to evaluate the levels of stress in your workplace. Talk with your colleagues about daily stresses and consider the little things that you can do and incorporate into your daily work routine to improve your wellness and wellbeing. There are several things that you’ll need to do to prepare for applying for jobs, and this includes updating your CV, making your LinkedIn page ready to impress employers, and even organising your work into a portfolio. It can be a little overwhelming and sometimes exhausting – especially if you’re trying to balance raising a family and keeping up with your current job, too. An increasing number of job-seekers are turning to recruitment agencies for extra support, and there are a whole host of great reasons for relying on an agency to help you find a job. Less pressure Signing up with a recruitment agency can definitely help to relieve some of the pressures and stresses related to finding a new job. A dedicated recruitment consultant is proactive, efficient and will work hard to match you with the right roles. 2. Be in-the-know A great recruitment consultant will have lots of regular inside information so they’ll often let you know about upcoming roles that aren’t visible yet. This means you’ll be in-the-know before anyone else! 3. Great advice A recruitment agency will be able to give you pointers about your CV and advice about interviews. 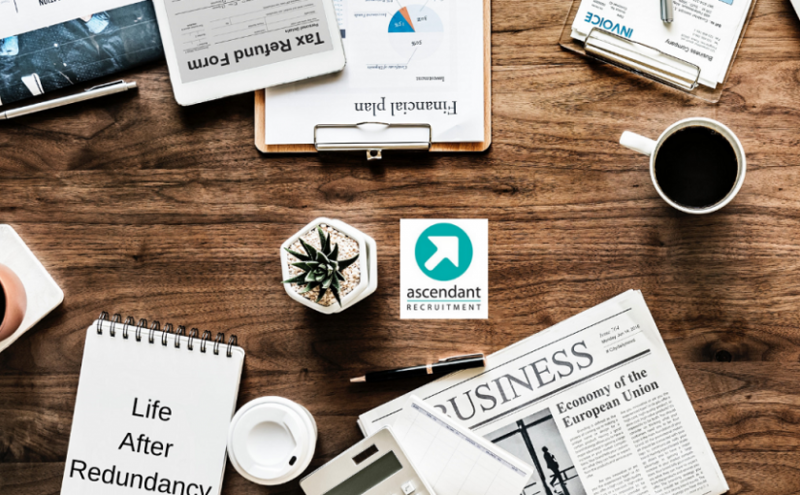 At Ascendant Recruitment, we’re there every step of your journey, offering top tips and even suggesting skills that may increase your chances of employment. 4. Expert consultants Many recruitment consultants will have a niche or specific sector in which they’re particularly knowledgeable. From customer service and administration to warehousing and logistics, we always ensure our candidates are placed with an appropriate consultant with relevant experience and knowledge. 5. Competitive advantage Being represented by a credible agency will work in your favour, giving you a competitive advantage because the agency and company are likely to have a good working relationship, so the company knows that the candidate being put forward will already be a good match. Furthermore, the recruitment agency will often have a lot of inside knowledge about the business. It’s important to register with an agency that is a good fit for you and your situation. You should definitely do your research and try to meet the recruiter face-to-face if you can. Ask plenty of questions about the agency’s client base so that you can judge whether they have links with the types of companies you’d like to work for, and ask about the types of roles they generally have available. For example, if they usually focus on permanent roles but you’re looking for a temporary position, they may not be well-equipped to help you. At Ascendant Recruitment, we have permanent, temporary, part-time and full-time roles as we know how important it is to have a wide range of roles available at all times. Remember that most reputable agencies will pre-screen candidates. This is usually an informal chat about your background and work experience, plus any career goals you have. It may also include some basic tests to gauge your level and suitability for roles, too. Recruitment agencies allow candidates access to a wide range of clients. If you feel like job-seeking is taking up too much of your time or you want some support with your search, register with us today. We are actively recruiting, and we need candidates for permanent and temporary roles across Milton Keynes and Northampton. Please email your CV to info@ascendantrecruitment.co.uk or call the team on 01908 200270 (MK office) or 01604 439380 (Northants office). If you haven’t registered with a recruitment agency before, they’re a really great way to fast-track your job search. 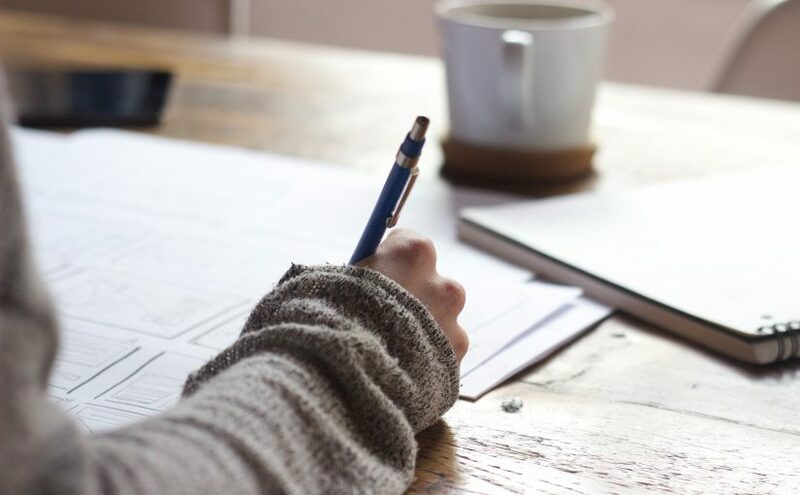 Even if you have a great CV and have worked really hard to tailor your cover letter to suit jobs you’re applying for, it can be difficult to get interviews and stand out from the crowd. Many people think that recruitment agencies are only for those looking for senior positions, but at Ascendant Recruitment, we can help you find many different types of roles. From full-time and part-time positions to temping opportunities, there are lots of options to suit every job seeker’s requirements. Being a university student, you may feel nervous about taking the first step towards finding a job, but we’re able to find great job opportunities for every type of candidate. From perfecting your CV to polishing your interview techniques, our consultants are here to guide and support students every step of the way. We work with leading employers in Milton Keynes, Northamptonshire and the surrounding areas, so we’re in a unique position to tell you about job opportunities before anyone else. What can you expect from us as a student? We listen We understand that every student is different. We’re passionate about finding the right job for you so we take the time to meet you and understand exactly what you’re looking for. We’ll only put you forward for relevant roles and only with your permission. We act in your best interests We want to help you find your next job. From day one, we’ll always work in your best interests at all times. Don’t just take our word for it – we’ve got some great testimonials, too. We’re honest We give an honest, transparent service. If we say we’ll do something, we’ll do it! We know, as a student, you’ll be juggling study and job prospects, so we’ll be up-front and clear about what jobs we think will work for you. We’ve got great advice Being a student, you may not have written up a professional CV yet, or maybe you’re not used to interviews. Our consultants at Ascendant Recruitment can give you CV advice, guide you through interview processes and offer you tips, too. We also publish regular blog posts to give guidance and updates on job-hunting and more. If you’re a student, contact us and register today to start your exciting journey to a new job. Job shows are a great way to meet new contacts, gain confidence in talking about yourself and your experience, and even give you the perfect opportunity to meet directly with recruiters from great companies. Sam Poole, who works on projects for Ascendant Recruitment, will be a Keynote Speaker at the popular MK Job Show event being held on 29 - 30th March at Middleton Hall in thecentre:mk. 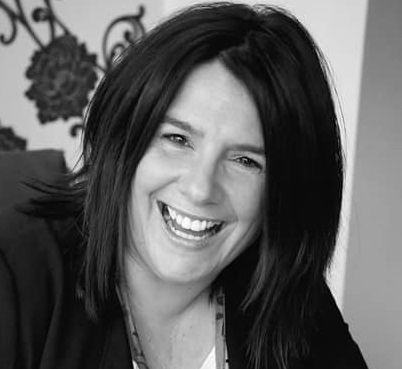 Sam is also the founder of Mum to Mum Milton Keynes network – a group that helps parents find out about activities and services in the local area. We had a chat with Sam about MK Job Show and why people should attend. Sam explains, “This year in particular the exhibitors are amazing, with some fantastic companies including Goldman Sachs exhibiting. There is a focus on flexible working opportunities this year, and many more recruiters are aware of the importance of flexible working for many candidates. By attending MK Job Show, which is free entry, you’ll be put in front of brilliant teams from lots of different companies who you can speak with directly. They’re all looking for talent and individuals who want to succeed.” Companies exhibiting at MK Job Show include Milton Keynes University Hospital, H&M (who are opening a new warehouse in the local area), SERCO, Acorn Early Years Foundation, Beaverbrooks, Champneys, Marks and Spencer, Destination MK, The University of Buckingham, Xero and many more. MK Job Show is perfect for any type of candidate looking for any type of job role, whether it’s permanent, temporary, full-time or part-time. Sam explains more. “It’s suitable for everybody! Even if you’re someone who is thinking of changing job or career but you’re not aware of any opportunities out there. Milton Keynes is such a vibrant and exciting place to be.” MK Job Show isn’t just about talking to companies and finding new roles. It’s also about learning new things about job-hunting and preparing for interviews and applications. There will be some fantastic, inspirational speakers, CV clinics and talks to guide you on your job search. If you’re thinking about attending a job show, this year is definitely the perfect time to attend MK Job Show. If you can’t wait until then, contact us today to register as a candidate. We can help you find the perfect role. There are many routes to take on your career journey, and it’s important to take the time to consider and think about all of your options. One path is undertaking an apprenticeship, which can help you learn essential skills and gain experience within a chosen industry. Apprenticeships are available to those who have reached the legal school-leaving age, which varies across England, Scotland, Wales and Northern Ireland. In 2016 and 2017 alone, there were 491,300 apprenticeship starts in the UK. However, The Open University Business Barometer, which observes the skills landscape of the UK, revealed a major shortage in skills (within the UK labour market) and a significant deficiency in 2018. David Willett, Corporate Director of the OU, explains that skills shortages are costing UK businesses £6.3 billion. This large figure highlights the need for more skills-based courses and schemes, such as apprenticeships. This week is National Apprenticeship Week 2019, and we thought it would be the perfect opportunity to remind you to weigh up your options, so we’ve come up with five main advantages to apprenticeships. Apprenticeships encourage and promote the development of practical (applied) skills in the workplace. 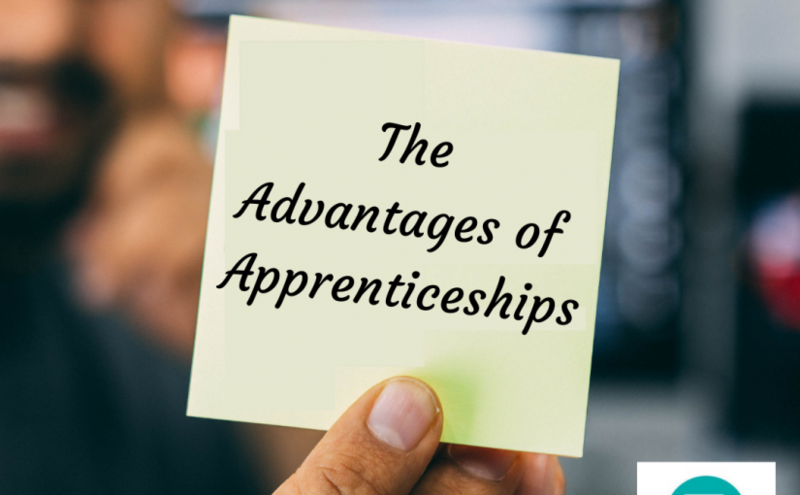 They allow you to develop a great skillset to take with you into future jobs, much of which you can learn from experienced colleagues and mentors during your apprenticeship. Apprenticeships are structured training programmes that allow you to work towards a recognised qualification while gaining valuable experience and know-how. What you learn can then be used as transferrable skills that you take with you to future jobs and projects. Apprenticeships allow you to earn while you learn! Many are well-paid and it means you won’t have to take out a student loan or pay off any student debt after you achieve your qualification. There is so much choice! There are more than 400 different types of apprenticeships so whether you want to work in construction, media, accounting, administration, engineering or agriculture, there will be an apprenticeship for you. Apprenticeships offer a varied learning experience. You won’t be sitting at a desk studying in a classroom for five days a week. You’ll be learning on the job within a real-life company, which makes learning memorable and interesting, and you can apply what you’ve learnt straight away. There are three categories or levels of apprenticeship available, which reflect the trainees’ skills and qualifications. These are Intermediate Apprenticeship (Level 2), Advanced Apprenticeship (Level 3) and Higher Apprenticeship (Level 4 and above). Once completed, trainees will gain a nationally-recognised qualification, which are now available up to degree level and above. So what happens after the apprenticeship training has been completed? In our experience, recruiters are far more likely to hire an apprentice who has successfully completed their training to a high standard compared to a sixth form student who has two poor A-levels under their belt. If an apprenticeship interests you, we recommend researching apprenticeship schemes, reading some real-life case studies or speaking to a current or past apprentice about their own experience as a trainee. It’s important to weigh up all of your options to make an informed decision. There are a number of well-paid apprenticeship schemes and placements in a number of sectors that can truly kick-start your career. For more information, visit www.gov.uk and The Apprenticeship Guide for useful resources including current vacancies. School’s out for Ascendant Recruitment, turning 16 years old this week! Life was very different when Ascendant Recruitment was first established on 03/03/03. There were no smart phones and not even Facebook was invented! Here are 16 things that have changed since Ascendant Recruitment began all those years ago. 1: You don’t have to memorise phone numbers anymore Remember having to memorise your friends’ phone numbers or look them up in your phone book? Not anymore! 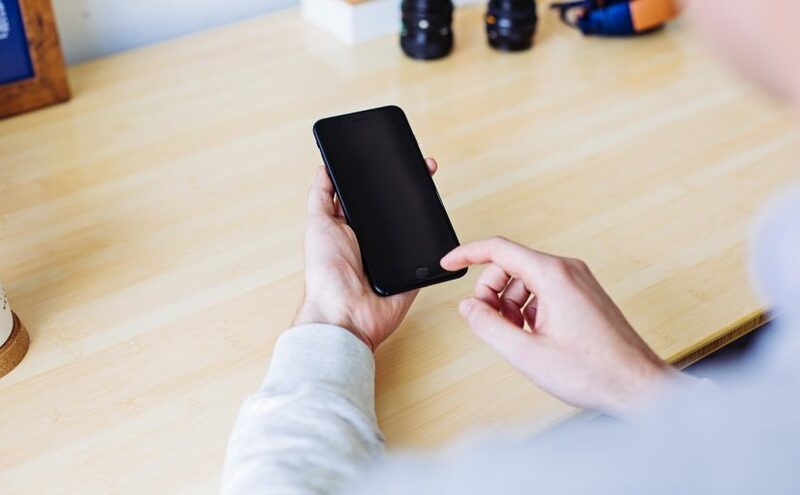 It’s not uncommon for friends and even partners to not know each other’s phone numbers off by heart nowadays thanks to contacts lists in smart phones. 2: You don’t have to wait for the newspaper to browse job vacancies It was the done thing to race home from school or work and look through the daily newspaper for the current job adverts in your local area. Now we’re swiping through job apps and emailing recruiters to find our dream jobs. 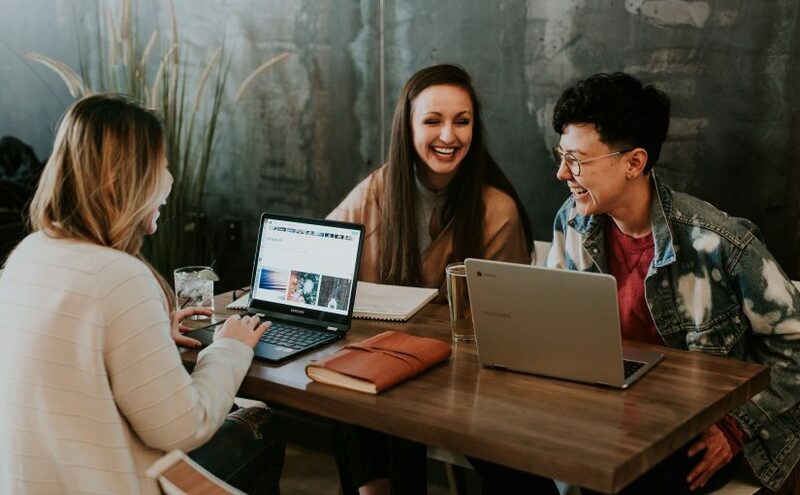 3: An ‘office’ has become more of an abstract thing Thanks to co-working spaces, online conferences and even LinkedIn group discussions, a meeting in a typical company office isn’t quite what it used to be. More of us are now working from home a few days each week or embracing flexible working. 4: TVs are flatter Remember the chunky televisions so big that your grandma would even stand photo frames and ornaments on top? They are now a thing of the past (and something we’re all pleased to leave in the early noughties!) 5: We’re on the cloud We’ve waved goodbye to back-up disks, storing boxes of CDs and DVDs, and even stopped keeping physical photo albums thanks to the ‘cloud’. Much of our lives are now stored in the virtual world above our heads. 6: Cars drive themselves In 2003, we may have considered this a bit of an extravagant idea and something we were only used to seeing in films, but we’ve entered 2019 with fully driver-less cars becoming the norm. 7: Same-day delivery Before home delivery, we had to make the trip to our local shops to buy essentials. Now you can use up your last can of beans and ask your home assistant device to order you some more while you’re cooking dinner! 8: We rely on Wi-Fi Wherever we go, we expect to be able to log onto Wi-Fi, browse the internet, chat with friends and even upload real-time videos and photos to our social media platforms. Back in 2003, we would’ve been sitting at home at our computer monitors loading dial-up for several minutes! 9: We’re obsessed with chargers In the early noughties, the only things we had to charge once in a while were AA batteries and, very occasionally, our car batteries. Now, we’re constantly plugging in our smart phones, headphones, smart watches and more. 10: Job-seeking is a lot more personal Gone are the days that you would mail off your CV to different employers in the hope that one of them would call you. Now, it’s all about communicating with companies on LinkedIn and building personal connections. Networking has been a great change for recruiters and employers. 11: The workplace has become more flexible Gone are 9-5 days and hour-long lunchbreaks. Many companies now offer flexible working hours so that employees can pick their children up from school, go to the gym before work and generally experience a healthier work/life balance, which is better for both employees and employers. 12: Christina Aguilera has been replaced with Ariana Grande At the time of writing, Christina Aguilera’s Beautiful (number one in March 2003) has been replaced with Ariana Grande’s single, which has been sitting at number one for some weeks. 13: Cameras! Remember taking your film to the local camera shop to get it developed, and even having to wait to pick up the photos a few days later? Now, you can take a selfie, see it straight away, and upload it to your social media feed in seconds. 14: Facebook When Ascendant Recruitment started out, Facebook didn’t exist! It was actually established in 2004 and it’s hard to believe that this platform developed in Mark Zuckerberg’s Harvard dorm room now has more than 1.5 billion daily users. 15: You can talk on the phone and use the internet at the same time Talking on the phone, scrolling through social media and watching TV all at the same time is definitely taken for granted in 2019. Back in the early noughties, we used dial-up to connect to the internet, so we got kicked off the phone if someone wanted to get online. 16: No more borrowing movies at your local rental store A weekend trip to Blockbuster was a highlight for many, but we can now simply log onto Netflix or Amazon to download a movie in a matter of minutes. We have no way of knowing what the future holds, but whether it be hologram job interviews, video CVs or teleporting, we’ll be ready to embrace change and keep moving Ascendant Recruitment forward! Ascendant Recruitment itself looked very different 16 years ago. Nick, our Managing Director, took the photo below in 2003. … But his three children have now grown up a lot! If you’re a candidate looking for work or an employer looking to hire, contact our Milton Keynes office or Northampton office today. Ascendant Recruitment are holding a recruitment event on Thursday 7th March from 5pm-7pm at Brewhouse & Kitchen (in the Theatre District, CMK). Come and have a drink on us and meet the Ascendant Recruitment team who can help you find your next job! One of our largest clients is looking to fill 10 customer service roles in their Head Office, which is close to Central Milton Keynes. Come along to the event on Thursday and register with us if you are: Looking for a permanent or temporary role Wanting to take the first step on your career ladder (no experience necessary for some of the roles) Keen to take the next move in your career (some of the roles are more senior and require customer service experience) The salaries for the roles vary from £19,000 to £23,000. The role include: Customer Services, Administration, learning new system, attention to detail, and inbound and outbound calling. If you would like to attend the event, please download a FREE ticket as you’ll need to show this to bar staff when you order a drink. Visit: https://www.eventbrite.co.uk/e/looking-for-a-new-customer-services-job-meet-ascendant-recruitment-tickets-57695493775 for your free ticket. The Generation of Swiping – What Happens Now That We Swipe for Jobs? Much like many popular dating apps, there are now job apps of a similar format that allow users to swipe left or right, depending on whether they like the sound of the job vacancy. So, should the job market be adapting to this new tool and become more appealing to a generation who are used to swiping left and right? Or should Millennials (born between 1981 and 1994) and Generation Z (born between 1995 and 2012) be able to adapt to the current working environment and existing processes of applying for jobs? At Ascendant Recruitment, we believe in a balance between the two, combining younger adults’ ways of life with older generations’ ideals to impart wisdom, ideas and inspiration from both sides. Apps that let you swipe for jobs could be here to stay. They make searching for new roles easy and accessible for both candidates and employers. Not only can candidates browse through job postings, swiping right to ‘like’ and swiping left to ‘pass’ but employers can also do the same thing. Companies can browse through candidates’ profiles (which are generally anonymised in most job-swiping apps) and can look at information about each person’s background and skillset. Many people have expressed concerns about their current employer finding them on these job apps. However, many of the apps provide an anonymous feature, meaning that you can swipe to your heart’s content without the worry of current employers or clients finding you. What’s more, there’s no need to upload your CV, as most of the job-swiping apps pull your details in from LinkedIn. With this in mind, it should be questioned whether it’s all too easy to swipe away while you’re on the bus or sitting in front of the TV. Are you really interested in the job or could the ease of swiping actually be wasting employers’ and recruiters time? And if you haven’t taken the time to write a cover email (or an actual cover letter like many generation X and Y people and baby boomers will remember), how do you make your application stand out to an employer or recruiter who has received literally hundreds of applications overnight? Likewise, if employers get swipe-happy with candidates, are they really fully invested in interviewing those candidates? Another point to bear in mind is that the job-swiping apps are quite new. Therefore, you shouldn’t solely base your job search on going on these apps, as this would significantly limit your search. After all, many companies may not be registered on the apps. Instead, use the apps as just one way of finding out more about potential jobs and employers, but definitely explore other avenues and ways of job-seeking, too, such as registering with a recruitment agency, which can be very beneficial. In a similar way, if you’re an employer looking for new employees, the pool of candidates on job-swiping apps can currently be quite limited. This isn’t to say that it won’t improve, but make sure you’re also promoting the job opportunity elsewhere. A fantastic way to reach an experienced, motivated pool of candidates is to work with a recruitment agency. Once you’ve chosen the right recruitment agency for your business, it can not only save you a lot of time and money, but also add value to your business when you recruit the right people to work for you. There are many benefits to swiping your way to a successful job interview. The apps are easy to use, accessible and feature a wide range of candidates and employers. However, it’s important that you apply for an appropriate role with the right type of company for you and your aspirations. Swiping can make looking for a job quick and easy, but be sure that you do enough research into the role and company beforehand. You don’t want to risk taking the wrong job and doing something you’re not passionate about or interested in. 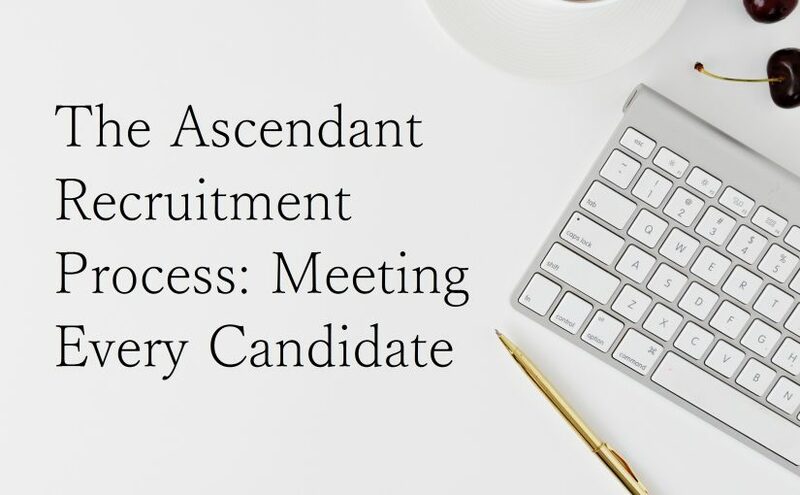 At Ascendant Recruitment, we always meet and talk with every single candidate before placing them in a job, as we think it’s important that we marry up the right candidate with the right employer, and that’s something to bear in mind. While job-swiping apps may help you network, you should still make careful considerations with the roles and companies you’re swiping right. If you’ve found out your role is being made redundant, it can be a worrying and stressful time. Whether you’re angry, sad, disappointed or overwhelmed, these are all normal and understandable emotions to experience. 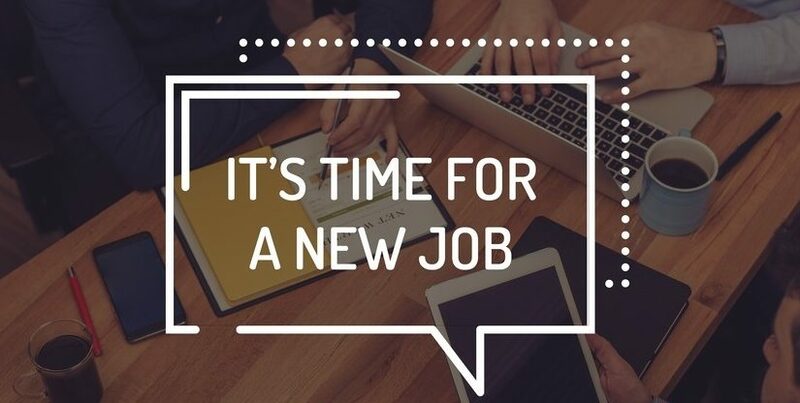 The prospect of getting a new job may seem scary – especially if you’ve been in your current role for a number of years. However, we’ve put together five key steps that you should take to make the process smoother and easier. 1: Stay positive The key to getting through redundancy is to remain as upbeat and positive as you can. It could, at first, feel like a set-back but, in the long run, this may be the perfect opportunity for you to find a better, more fulfilling job! This is the ideal time to take a step back and consider your options. Review what you did and didn’t like in your previous role, as this will help to inform your future job search. Focus on finding a new role and company that is the right fit for you. 2: Update your LinkedIn profile If you’re able to, get a character reference from your company before you leave. This will be invaluable in highlighting your skills and strengths to your next employer. However, a key thing to do is connect with your colleagues and team members on LinkedIn, as it’s a great tool for networking and asking your contacts for endorsements and recommendations. Secondly, update your LinkedIn profile with key awards, achievements and accolades because many potential employers will look at your LinkedIn profile. It’s a good idea to write ‘Seeking new opportunities’ in your LinkedIn tagline, too, as this will help potential employers find you. Finally, follow any businesses and corporations you think you’d like to work for; they will often post new job opportunities on their LinkedIn pages. 3: Don’t take it personally Keep in mind that it’s your role that has been made redundant – not you as an individual. Redundancy is something that affects thousands of people at some point throughout their career, so you’re definitely not alone. There are a wide range of reasons that a company may make a role redundant including restructuring, office relocation or outsourcing responsibilities, and in the majority of cases, the situation will be completely out of your hands, so don’t feel like there’s something you could have done or said to avoid it. 4: Update your CV Whether you’ve been organised and kept your CV relatively up to date, or maybe you’ve stashed it away in a drawer for the last few years, one of the first, most important things you need to do is to update and improve your CV. Try to target each application to the specific job you’re applying to, and make sure you highlight your most relevant skills and experience, plus any achievements and awards you’re proud of. 5: Consider temporary roles While you’re deciding on your next steps and looking for something permanent, you could avoid using up all your redundancy pay by taking on temporary work. There are a wide range of benefits to temping, including meeting new people, learning new skills and building up experience. Many businesses offer temp-to-perm contracts, meaning that your temp role could lead to a permanent job and we’ve found that 40% of candidates who work for us on a temporary basis end up taking a permanent role with the company they temp for! 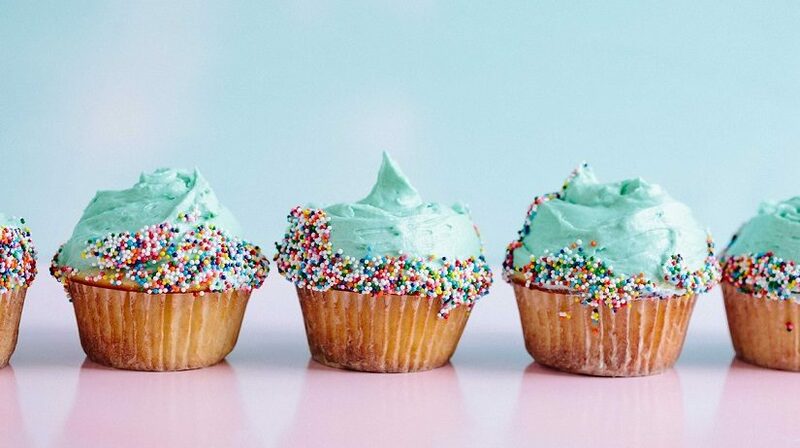 Now you’ve read our five next steps for life after redundancy, it’s time to be proactive and positive about your future! Register with us and we can help you on your path to a new job – simply call 01908 200270 or 01604 439380. Remain focused and you’ll be in a great position to move onto bigger, better and more exciting things! At Ascendant Recruitment, we often say that we’re in the business of arranging marriages. Well, not literally marriages, but marrying up the right candidate with the right client, and vice versa. This is why it’s so important that we meet with our clients at the start of their search for a new employee, and we meet with every single candidate at the start of their job-search, too. We talk with each candidate on an individual basis, and we meet with our clients when they provide us with a job briefing. We’ve found it’s actually quite rare in recruitment these days – which is another reason why we invest the time in meeting our clients and candidates and it’s something that makes Ascendant Recruitment deliberately different. Our role as a recruitment company is to listen to the needs of the candidate and the needs of the client, which are naturally unique and specific. We have to get to know what’s important for the employee and employer to ensure that we are marrying up the right candidate with a client who is a good fit for them. It’s our job to listen to every candidate’s drives, needs and career aspirations; after all, it’s naïve to think that skill set is all that matters. Quite often, the candidate’s skill set is just scratching the surface of their real experience, know-how and knowledge. We love chatting with our candidates and getting to know their skill set, experience within a team, character, career aspirations and goals, and making notes about important things like the need for flexible working hours if they want to pick up their children from school, or whether they would need an office close to their home so that they could pop home to their dogs at lunchtime. In the same way, we talk with clients about what they want from a new employee, and this helps us iron out specifics such as whether they could offer a temporary or permanent role, and what previous experience the candidate needs to have, for example. Just like in most aspects of life, we’re not always able to match every single thing, but we think it’s incredibly important to match up the core essentials. Just because one role isn’t quite right for a candidate, it doesn’t mean that they’re not perfect for another position. As a candidate, there are so many benefits to signing up with a recruitment agency, as we can get to know you and tailor your job search to find you the best possible role. In the same way, there are a wide range of advantages to businesses relying on agencies to find them new, experienced employees. We have access to highly-skilled candidates who are enthusiastic, motivated and eager to start a new job! Whether you’re a candidate looking for a job or a business searching for a new employee, we’re passion about marrying up our pool of expert candidates with our wide range of clients. Contact us today on 01908 200270 or 01604 439380.